Hello everyone! This has been quite a week! Who would have thought that Solange would ever beat up Jay Z? 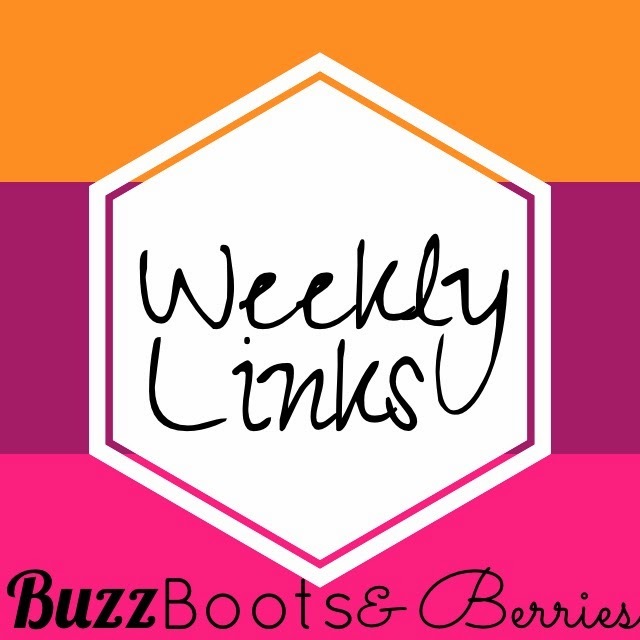 ( More on that in Random Little Links). Or that it would finally hit me that I'm 19? Yeah, my days as a teen are numbered and I'm not quite sure how I feel about that - yet. Per usual, I think this week flew by and I thoroughly enjoyed it. I hope you enjoyed your week as well. 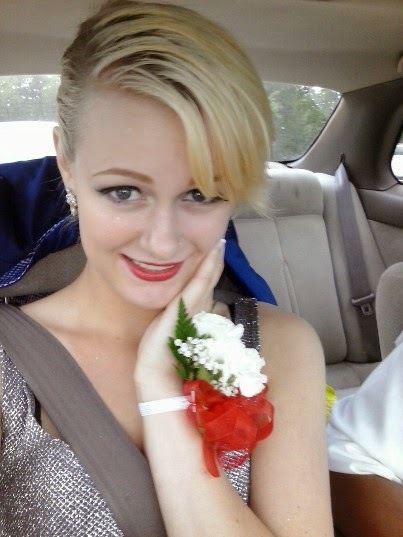 Prom season is in full swing. Girls spend countless hours finding the right dress, getting their hair and makeup done and plan where pre Prom or after Prom may be. My days of going to Prom are long over, but the all the stress and excitement that comes with the day still resonates with me. That's why when I read about Chloe I couldn't help but sympathize with her. The 17 year old was Prom ready, but her experience was short lived as chaperones believed her dress produced 'impure thoughts'. Chloe's dress was not scandalous by any stretch of the imagination; God forbid the girl is graced with long legs! The simple fact that not two bodies are the same should have been kept in mind. I think what's worse than allowing shorter girls to wear more scandalous attire than Chloe is the fact that dads at the Prom thought Chloe's dancing was scandalous. That, my friends, is a whole lot more dangerous than a tall girl feeling confident in her Prom dress! When I find something about body image, I can't just stop at one thing; I eat this stuff up (see here) So, this next link is again about the body. Instead of an actual girl, this controversy comes from a mannequin. Lingerie store, La Perla, was in hot water this week when a customer took a picture of one of its mannequins. 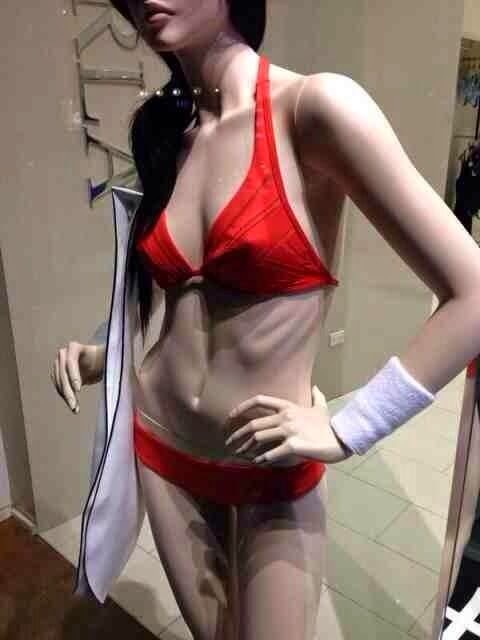 This mannequin was more than just a double 00, it was one step away from promoting an eating disorder. Every body is beautiful- big or small, but this does not need to be in store windows all over the country. Seriously, who thinks this is ok? Long live the King of Pop. This week, Justin Timberlake released the video for Michael Jackson's new song 'Love Never Felt so Good'. It is so catchy and I can not think of anyone better to carry out Jackson's song. This music video is for Michael Jackson's new album XSCAPE, which I am currently listening to on Spotify as I type this. This album is fantastic and I know Michael Jackson would be proud of where his team has taken his work. Please give it a listen. There's a small part in all of us that cringes any time someone asks to look at our phone. However, if that person is Rihanna and she wants to take a selfie? Well, you'd hand over your phone pronto! That's exactly what LAPD comission president Steve Soboroff did yet the moment wasn't so picture perfect. The pop star dropped and broke Soboroff's phone in the process. Nonetheless, Soboroff was a good sport and decided to sell his phone in which he gained $81,000 for charity in the process. It's safe to say that I'd have Rihanna break my phone any day. 5. Every photo rapper Drake has ever liked on Instagram- because why not? Have a lovely weekend and we'll meet again on Monday!